Measuring, logging and controlling electrical energy and monitoring power usage is now a strategic requirement for most organisations. This range of products can be used for applications from basic auditing to comprehensive monitoring and management of electrical power and energy. Our energy loggers measure current, voltage and power factor amongst a range of other power related measurement. They can be applied to both single phase and 3 phase supplies. If you require any assistance in choosing the appropriate device for your specific application contact us. Power Meter Management Device (for up to 16off the PM series of Power Meter). Built-in web server allows for ease of configuration and data access. Data can be sent to an FTP server or to SCADA software via Modbus TCP protocol. CLEARANCE - limited stock. Advanced Power Meter Data Logging and Management Unit for up to 24 PM-2000 & PM-3000 Smart Power Meters. Capability of adding a wide range of I/O for contextual data. Advanced Power Meter Data Logging and Management Unit for up to 24 PM-3000 & PM-4000 Smart Power Meters via Ethernet or RS485 connection. Capability of adding a wide range of I/O for contextual data. 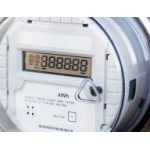 Advanced Power Meter Data Logging and Management Unit for up to 24 PM-3000 & PM-4000 Smart Power Meters via Ethernet or RS485 connection. Capability of adding a wide range of I/O for contextual data. Integrated 3G Modem. 3-Phase Energy Data Logger for lower current ranges (0.5-40A or 4-400A variants available). Can also be used for 3off Single-phase supplies. Also records Power factor for calculation of Real, Reactive & apparent power, while the unit comes as a complete kit including powerful configuration and analysis software. DC Renewable Energy Data Logger with 2 x DC Voltage channels (upto 300Vdc) and 1 x DC Current channel. Complete kit supplied. Advanced single channel AC Current Data logger for small loads up to 100A. Complete kit supplied. Advanced single channel AC Current Data logger for small loads up to 3kA. Complete kit supplied. Selectable range. Data Logger to monitor mains voltage power supply interruptions or voltage on/off cycles in equipment, for example motor (compressor) duty cycles. Advanced two channel AC Voltage Data logger that monitors Live to Neutral & Earth to Neutral. Used for investigating Earthing Issues along with Voltage optimisation analysis. Complete kit supplied. Three Phase AC Voltage Data Logger with phase sequence checker and long battery life. Ideal for monitoring onsite Voltage variations for diagnosing voltage related issues or for gathering data to present to an energy supplier. Also used to monitor Voltage levels pre and post any Voltage Optimisation work. Solar Irradiance Data Logger ideal for assessing proposed locations for PV and Solar Thermal Installations. Records Solar irradiation up to 1500W/m2. Complete Kit. Three Channel Solar Installation Data Logger. Records Solar Irradiance, DC Voltage and DC Current. Complete Kit. The HOBO Energy Logger is a modular, 15 channel, re-configurable data logging system for energy and industrial monitoring applications. Perfect if you wish to monitor a range of parameters as well as energy (e.g. Temperatures, Humidity, Pressure etc).